Use for finishing, trim, millwork or many other projects. Lengths from 1" to 4". For seaside applications it is recommended to use Type 316 nails. 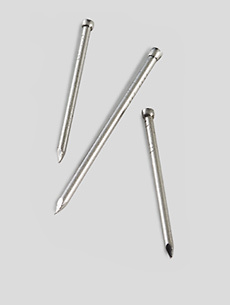 For a quote click on type 316 stainless steel finishing nails.